Could New Evidence Help Caylee's Mother? Attorneys for Casey Anthony say they have new evidence that could indicate she didn't kill her two-year-old daughter, Caylee Anthony, and instead could implicate the man who helped police find Caylee's remains. Casey is awaiting trial on first-degree murder charges. She's pleaded not guilty and says a baby sitter kidnapped Caylee. Prosecutors say they'll seek the death penalty if Casey is convicted of first-degree murder. 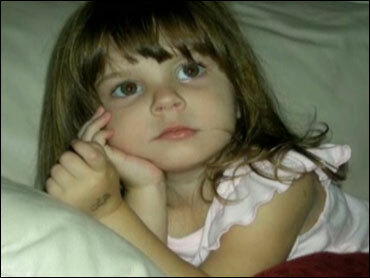 Caylee was last seen in June 2008. Her disappearance wasn't reported until a month later. Her body was found in December 2008 in a wooded area less than a mile from the Orlando, Fla. home she and Casey shared with Casey's parents. But, reports CBS News Correspondent Kelly Cobiella, Casey's lawyers are asking the judge in the case to allow evidence they say shows the meter reader who helped in the search for Caylee's body could be the little girl's killer. Roy Kronk was hailed as a hero last year, for helping police find Caylee's remains. But Casey's lawyers say they've uncovered a dark side. They gave CBS News video of April Hensley, who was 11 when Kronk lived with her mother, telling them, "Sometimes he would, you know, walk in while I was putting my clothes on." April, along with two of Kronk's ex-wives, were interviewed by Casey's attorneys, who assert Kronk has a history of being inappropriate with children, and violent toward women. Also on video provided to CBS News, an attorney for Casey asks one of Kronk's ex-wives, Jill Keerley, "When you learned that Roy Kronk had found the remains of Caylee Anthony, what went through your mind?" "That he had done it," Keerley replies. "Done it, meaning...?" the lawyer asks. "He probably was the one who murdered Caylee Anthony, or had something to do with it," Keerley responds. "You had mentioned that he had a certain saying about duct tape," the lawyer says. "Yeah," answers Keerley, quoting Kronk, " 'It's a hundred-mile-an-hour duct tape, nothing can get through it.' "
Investigators found duct tape on Caylee's skull. Casey's defense team admits it has no physical evidence to support its theory, Cobiella points out. And Kronk's lawyers say this is just a ploy to deflect blame from the real suspect -- Casey Anthony. Legal analyst Wendy Murphy told Cobiella, "(Caylee's) mother is the one who's charged with a crime here. So, you can point the finger at Mr. Kronk all day long ... it doesn't explain away the evidence against Casey Anthony." There are no police reports on Kronk, or arrest reports, that have surfaced, Cobiella adds, to substantiate the claims against him. And investigators ruled Kronk out as a possible suspect early in the investigation.